Steel Security doors are one of the most effective solution for crime prevention. Security doors are a powerful visual deterrent against crime. 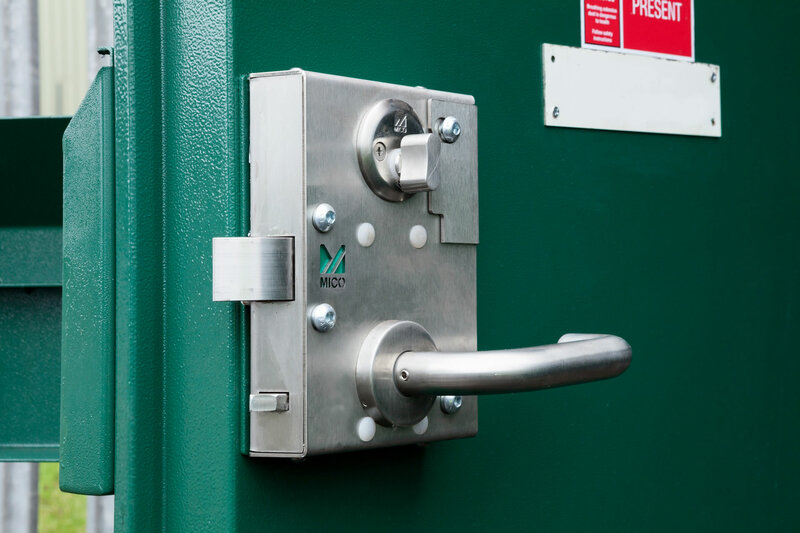 TSD manufacture high security doors to exceptionally high standards; we have created a new benchmark on quality and are proud to be the UKs premier high security steel doorset specialists. Whether you are looking to secure your industrial, commercial or residential premises, we can tailor the security solution that best suits your needs. All of this at an affordable price by a trusted and reputable company. The TSD3 Door Range offers an unrivalled selection of certified high security doors, including single and double doors suitable for all personnel doors, fire exit doors and utility (substation) applications. We also offer a comprehensive range of complimentary security solutions, such as bars, grilles and meshes. When it comes to security solutions no one offers more than TSD. The range has been tested and certified to Security Rating Level 3. Testing involves simulated deliberate forced entry over a period of 20 minutes with a range of tools including a power drill, crow bar, axe, scissor jack and cold chisel. TSD3 represents the largest range of Level 3 certified doors available in the UK. The wide choice of Level 3 hardware options enable doors to be tailor made to individual customer requirements with the assurance of Level 3 certification. All doors are individually designed and made to order with rapid turnaround guaranteed. That’s right, as a true manufacture we have take our security doors to a new level offering unparalleled levels of security and still at an affordable price. Tristan Steel Doors has created a new benchmark for security doors. The door hinge areas are reinforced with unique ‘Hinge Chassis Systems’ (patent pending). Furthermore all TSD Security Doors have a minimum of 7 heavy duty dog bolts. The revolutionary ‘Fast Fit Frame’ option greatly reduces fitting times. Outward opening single leaf doors are also available certified to Security Rating Level 1. Specification is the same as for our Steel Entry Doors and Fire Exit Doors.